Our EastWest Wing House combines two units into one whole building providing the most spacious, comfortable and private accommodation of the Villa. Next to the entrance there is a beautiful covered veranda where you can enjoy your meals with a view of the gardens. 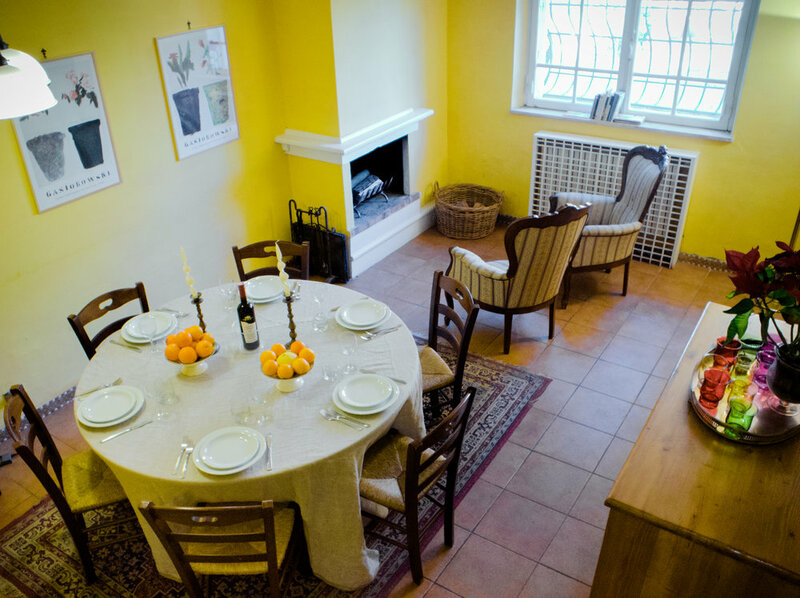 On the ground floor, you enter the hall leading to the dining-sitting area, a fully equipped kitchen and a bathroom. On the upper floor, you will find three double bedrooms and two twin bedrooms, two bathrooms and a comfortable living room with a single sofa bed and a double sofa bed for 3 more guests. Finally, two large terraces, each in opposites sides of the house, offer a great view over the park and gardens. The EastWest Wing accommodates up to 13 guests.